At the ACS Discovery Shop you can find out about volunteer opportunities, fundraisers, and local advocacy efforts. 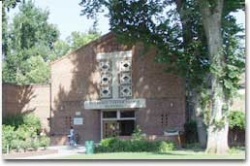 Belle Cooledge Community Center is located across the street from the Belle Cooledge Library. Two rooms are available for rental. One room has a kitchen and both are well-suited for meetings or parties. Both rooms have heating and air conditioning. This facility is heated and air conditioned. Partner Off-Leash Dog Park is located next to this center. 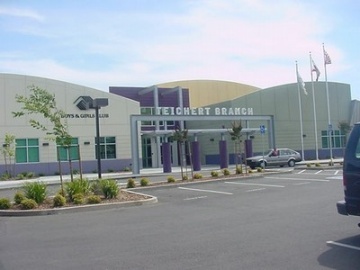 The Teichert Branch of the Boys & Girls Clubs of Greater Sacramento opened its doors in January of 2004 to hundreds of eager children in South Sacramento. 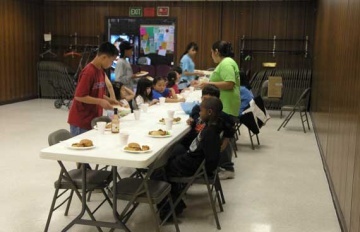 Located on Lemon Hill Avenue off Stockton Boulevard near Fruitridge Road, the club welcomes 400+ children each day to study, play games, create art projects, and make new friends in a positive environment. Complete with an arts and crafts room, computer lab, quiet study areas, TV room, café, dining hall, full-size gymnasium, game room, a health and life skills room, and a soccer field, the 32,000 square foot facility sits on 4.5 acres. Students using the club must first complete 60-90 minutes of studying prior to socializing or playing. A healthy, hot meal is served daily. The fees do not cover costs, so the club is dependent on community support from citizens, businesses, and other organizations. Brazilian Center for Cultural Exchange of Sacramento is a non profit, grassroots organization that exist for the purpose of sharing our Brazilian culture with the Sacramento community. A learning center/Internet cafe/art gallery, Bricka Bracka, opened in February ’09. With free wifi all day and night, a brand new flat screen television with a Playstation 3, and plenty of other gaming systems, it’s the perfect spot to either relax and get some work done or zone out and play some video games. Getting its name from a children’s movie, and forcing you to figure out the true meaning of the word on your own in true philosophical Foucault fashion, Bricka Bracka appears to be simply just another Internet cafe, but their services offer much more than just free water and a place to chill out. Every Saturday, 10am-6pm, the learning center offers a class to learn Action Script, a computer language used to develop Web sites in correspondence with such programs as Adobe Flash Player. The perk of taking the class at Bricka Bracka is that they not only give lessons in writing computer script, but also give an analog lesson in tandem to the digital lesson. By learning the real life analog lesson, you’re able to better understand how to use simple logic to grasp the coding language of Action Script. Serving the entire community of Carmichael, Carmichael Park is a 38 acre developed community park containing the District office building. 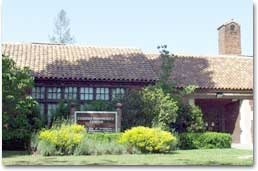 At Carmichael Park, leisure enrichment classes such as Stained Glass and Ikebana are held in the Community Clubhouse and Veteran’s Hall. Sports programs and youth day care are operated out of the La Sierra Community Center. Programs are also offered at local businesses and in partnership with other recreation districts so that community members may have a wide variety of leisure and sports opportunities. 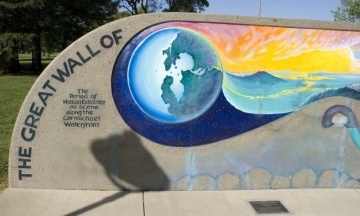 Amenities & Features: -Great Wall of Carmichael: donated to the park by the County, this wall is an artistic rendering of all the things that make our community great! -Canine Corral Dog Park: an off-leash dog park with a small dog and large dog area, the dog park is supported by volunteers of the Carmichael Dog Park Society -Community Clubhouse & Veteran’s Memorial Building: available for reservation, these facilities hold community meetings, wedding receptions, workshops, and special events, as well as providing diverse locations for recreation programs. -Daniel Bishop Memorial Pavilion for the Performing Arts: built with funds donated by the Bishop family, the Memorial Pavilion hosts the Summer Sunday concert series and Open Mic Nights. Great for performances and graduations; available for reservation. -Raymond & Hazel Nay Memorial Picnic Shelter: great for company picnics and barbecues up to 300 people. Electricity and water available. Available for reservation. -Five ball fields, barbecues, basketball court, picnic tables, three playgrounds, restrooms, soccer field, six tennis courts, volleyball, and horseshoe pits. -Permanent restroom building including ADA compliant restrooms for easy access. Located on spacious and secluded grounds in the city of Citrus Heights, the Christ the King Passionist Retreat and Conference Center is distinguished by a spirit of serenity and tranquility, graced with kindness, compassion and hospitality. Christ the King Retreat Center can accommodate meeting groups from 10 to 110 with four meeting rooms available. Each room also offers audio-visual equipment for presentations, and wireless Internet access. 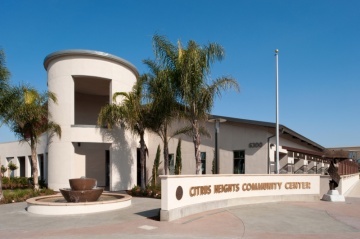 The 29,173 square foot Community Center, ran by the City of Citrus Heights, is located across the street from City Hall and the Citrus Heights Police Department. This architectural gem is the largest facility in this region with state-of-the-art amenities for almost any occasion. The facility provides an inviting atmosphere for a wide range of community activities and is available to rent for private parties, weddings, birthdays, dances, banquets, business events, fundraisers, memorials, meetings, and many other functions. 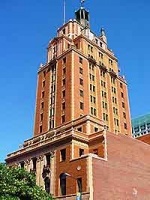 The building is historical and contemporary in appearance. Visitors are greeted at the main plaza entrance by a beautiful bubbling water fountain before walking through the tower into the building. Interior colors are warm, peaceful, and inviting. The main hall boasts a cascading wall fountain that adds to the calm and soothing atmosphere. Visitors are received at the main reception desk where Facility Staff and Volunteers are available to provide assistance. This wonderful facility has meeting and entertaining areas that can accommodate from 12 to 966 people. All amenities are first class and state of the art. The building provides a high tech Audio Visual system, a first class commercial catering kitchen as well as patio and barbecue areas. The Senior Center is a semi-self contained portion of the main building with its own indoor and outdoor fireplace and trellised patio area. The Teen Center is designed for the youth of our community – a safe place to "just hang out." The facilities are available for rental, with several custom packages which also include use of the City’s nationally award-winning Rose Garden and inviting spaces on the City Campus. See current rental space availability on the online Scheduling Program for the Community Center. Just login by creating your own ID and Password to place a deposit and secure your event day and time. Additional information is available once you log in including reservation forms, insurance requirements and discounts for Non-Profit groups. 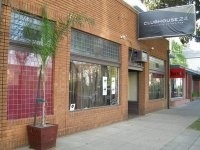 Club 24 is an exclusive gatherings, private party, and special event gallery. Located in McKinley Park, and accessible from Business 80 and H Street, Clunie Community Center is a three-story brick building. The center boasts a beautiful lobby with an art deco look, reminiscent of the 1930s when it was built; an elevator to all floors; beautiful hardwood floor in the auditorium, and three carpeted meeting rooms. The Collings Teen Center invests in the lives of young people in the West Sacramento Community. Its purpose is to embrace, engage and empower. Designed to be a safe place where young people will always feel welcomed to hangout after school, a place where computers, basketball, games and activities are blended with tutoring, community service, educational seminars, and trips outside the area, job training and connection to men and women who are leaders in the community. Many of the young people who utilize the resources the Teen Center offers are from some of the most challenged areas of the community economically. The commitment of the Collings Teen Center is that no young person will be turned away from any activity due to lack of finances. Coloma Community Center is a beautiful two-story, tile-roofed brick building that was converted from the old Coloma Elementary School into a visual and performing art center. The building has five meeting rooms, one dance room, and a full performance auditorium with stage for various activities. Country Club Lanes has been an innovator in entertainment for over 50 years. Specializing in fun for the whole family, they offer new automatic bumper bowling on all 48 lanes. Want to watch the big game? Check out their thirteen 42" inch plasma TVs installed across the concourse for your convenience to let you watch the game while bowling a few games. Feel like a change of pace? 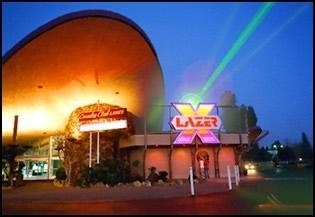 Join in some heart-pounding fun at Lazer X (located inside the facility) and experience the ultimate game of tag! Country Club Lanes also proudly boasts two of the best arcades that Sacramento has to offer. Come play all the latest and greatest video games. For the younger kids and the young at heart shoot hoops, play Deal or No Deal, Skee Ball, or other ticket-dispensing games and redeem tickets for cool prizes at the extensive prize counter. Planning a birthday party or a company event? Whether it’s for 20 or 500 people, Country Club Lanes offers a variety of party packages to meet your every need. 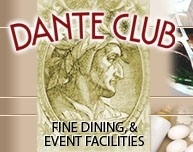 Since 1926, Dante Club has been one of Sacramento’s most respected social-gathering institutions. The Italian cultural aspect of the social club has evolved over time to include one of the region’s finest event and party facilities. 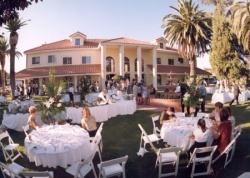 The Dante Club’s central location and well-stated building has hosted generations of Sacramento’s local families and a number of its "royalty" for memorable events.The beautifully designed banquet facility is comfortable, practical, and affordable–ideal for all types of social events. Davis Arts Center is a gathering place for dynamic engagement with the arts. Through multidisciplinary classes and programs for the regional community, the Arts Center inspires creative expression in people of all ages and fosters an environment for the arts to flourish. Davis Arts Center celebrated its 50th anniversary in 2010. 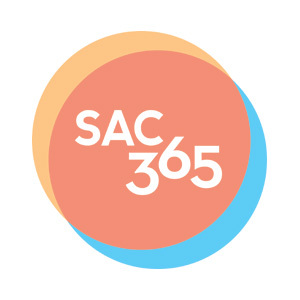 It is the only organization in the Sacramento region providing such a wide range of multidisciplinary arts programs for all age groups. 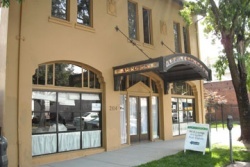 Incorporated in 1960, the Arts Center was begun by a group of teaching artists offering classes in a series of rented buildings, moving to its own building at 1919 F Street in Community Park in 1987. The 10,000-square-foot structure includes studios for clay, weaving, visual art, dance, drama, and music as well as exhibit and performance spaces. Today, approximately 70 teaching artists offer more than 300 classes each season for children, teens and adults. 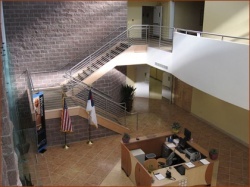 The Family Life Center, on the St. Paul Missionary Baptist Church Campus, is equipped with a computer lab, gymnasium, office space, counseling rooms, classrooms, exercise and recreational rooms, day care facilities, a stage for performances, a racquetball court, and a banquet room. There are activites for children, youth, seniors, and people of all ages. 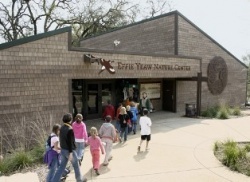 Effie Yeaw Nature Center is an award-winning environmental and cultural education center located within the beautiful Ancil Hoffman Park on the American River Parkway. They offer a dynamic variety of fun activities including children, adult, and school programs, nationally renowned interactive exhibits, educational workshops, and many opportunities for volunteering. 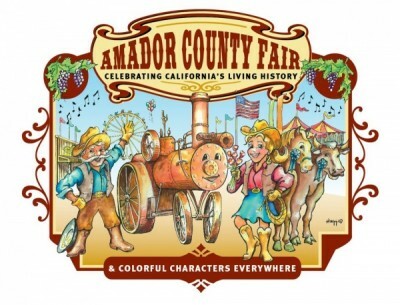 Visitors can see live wild animals, browse the Discovery Shop for books, toys, and unique gifts, or tour the replica of a Maidu Indian summer village. Enjoy the 77-acre nature preserve featuring interpretive trails that meander through the riparian woodlands along the American River. See deer, coyotes, migratory songbirds, and wild turkeys as you explore the preserve’s lush oak woodlands.